*Ends 5/10. Valid on non-sale items only. 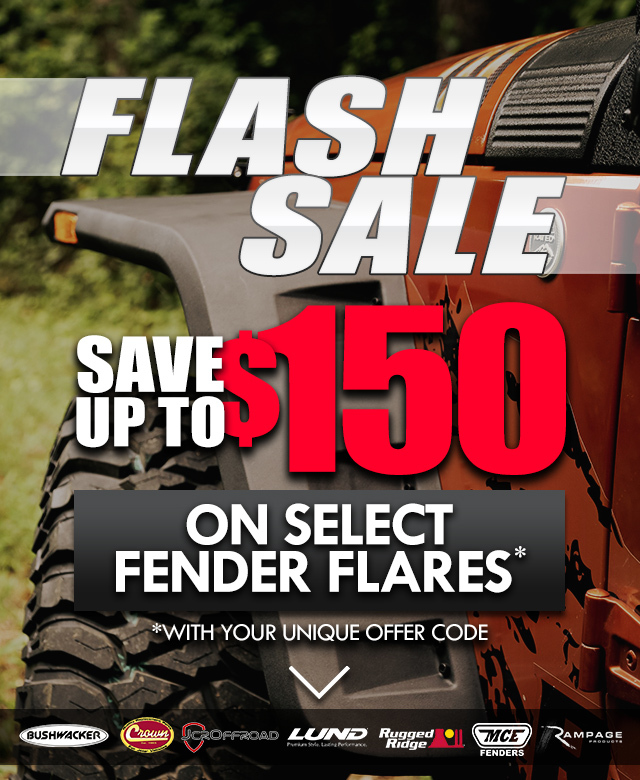 *Up to $150 savings valid on select brands - Bushwacker, JCR, LUND, MCE, and Rugged Ridge. Coupon valid on non-sale, full price items. Coupon cannot be combined with other offers or discounts. Free Shipping is available to addresses in the contiguous 48 United States. With free shipping, your order will be delivered by Standard Ground or Truck Freight. Prior purchases and returns are excluded. Orders of $50 or less will be charged a $6.95 shipping fee. Not all products eligible for free shipping. Certain exclusions apply. Sale ends 5/10/2018 at 11:59 pm PST.